This post is sponsored by Best Buy. All opinions are 100% my own. I love technology and all the conveniences that come along with it. I have a smartphone and a smart television and have recently been looking into upgrading to smart appliances after viewing the LG Smart Appliances at Best Buy‘s display at the Mom Summit 2.0 Conference. These new kitchen and laundry appliances put my old ones to shame. 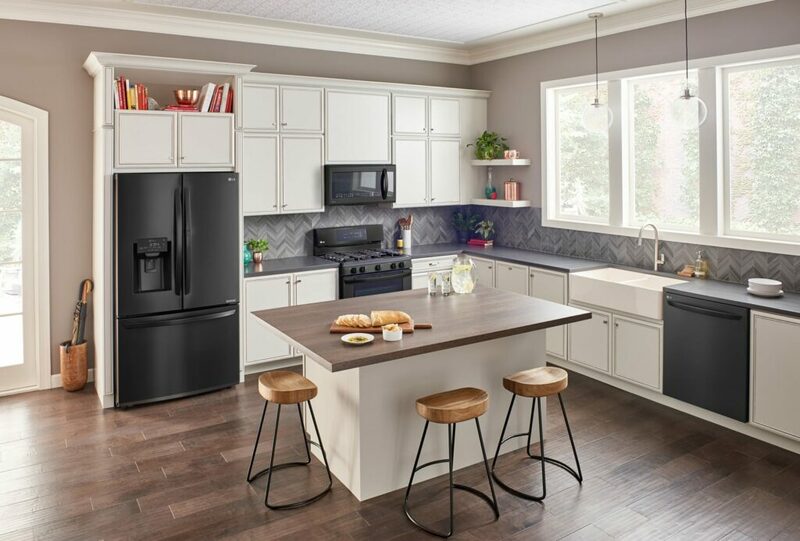 Any kitchen décor is complemented by LG’s exclusive Matte Black stainless steel appliances which have a luxurious & low-gloss matte finish while maintaining the classic look of stainless steel. These kitchen appliances are wi-fi and voice-enabled giving you the ability to remotely control your LG Smart Kitchen Appliances. You can perform tasks such as changing settings, checking the status, or turning the appliance on or off which helps make life easier. Use Alexa or Google to find out how much time is left on the range and to have your refrigerator start making ice. You can also use the SmartThinQ app to check the time remaining and get notifications when the range or dishwasher is done. LG Smart Appliances aren’t limited to just the kitchen. Change the way you do laundry with a SmartThinQ® technology equipped LG washer and dryer. Remotely start and stop wash cycles, check to see how much time is left, get notifications when laundry is done and even get scheduled maintenance reminders. Now through July 11th, purchase a Summer Kitchen Bundle from Best Buy and get an Instant rebate up to $400. LG and LG Studio models are eligible for this offer. You can also receive up to a $400 rebate on a qualifying laundry bundle with the LG Ultimate Laundry Room Rebate. Which appliances will you be upgrading to smart appliances?